Buy One Get One FREE Leggings! PLUS FREE Shipping! You are here: Home / Great Deals / Buy One Get One FREE Leggings! PLUS FREE Shipping! TODAY ONLY! 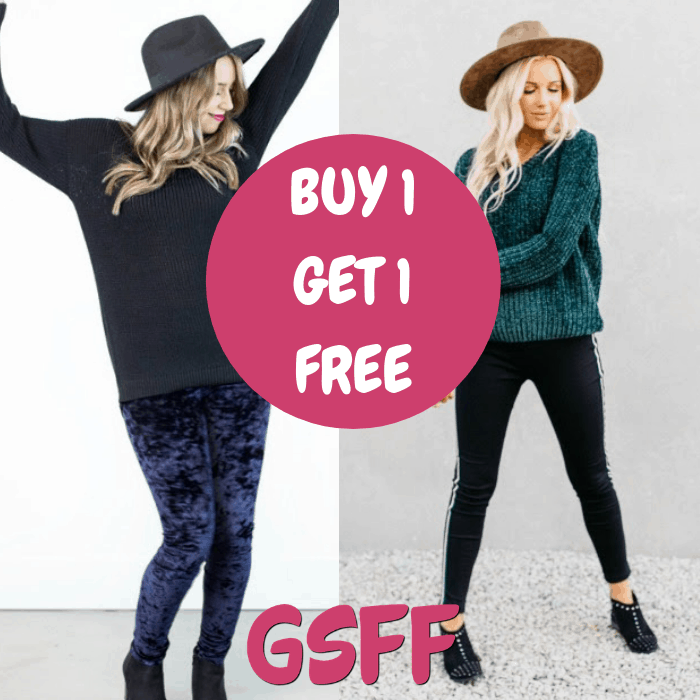 Hurry over to Cents Of Style where they are offering Buy One Get One FREE Leggings when you use promo code B1G1TUESDAY at checkout PLUS FREE shipping!